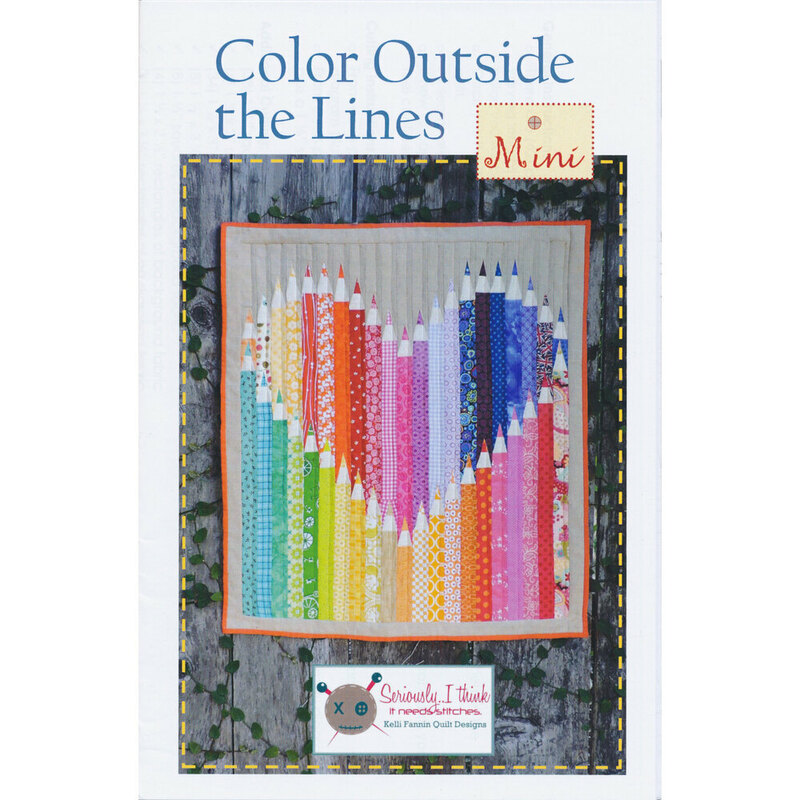 Create a darling quilt full of bold, vibrant color with the Color Outside The Lines Pattern! A rainbow of colored pencils line up to form a fun heart. 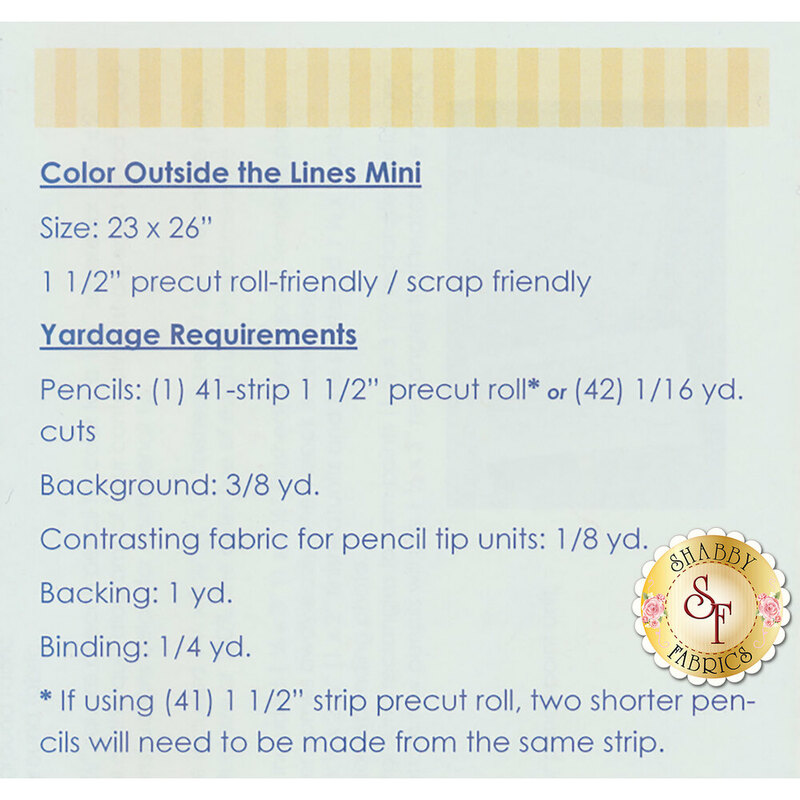 This quilt is pre-cut and scrap friendly and great for all skill levels! Finishes to approximately 23" x 26".